Who Should Analyze Your Company’s Web Traffic? Ask your marketing person (is that you?) to take responsibility for defining what needs to be measured based on business objectives. Consult with your financial advisor, if necessary. Have your programmer, web developer, or go-to IT person select and install the analytics tools that will provide the data you need. Make ease of use, flexibility, and customizability important factors in the decision. If it isn’t part of the analytical package, ask your IT person to set up a one-page dashboard (a graphical “executive summary” of key data). 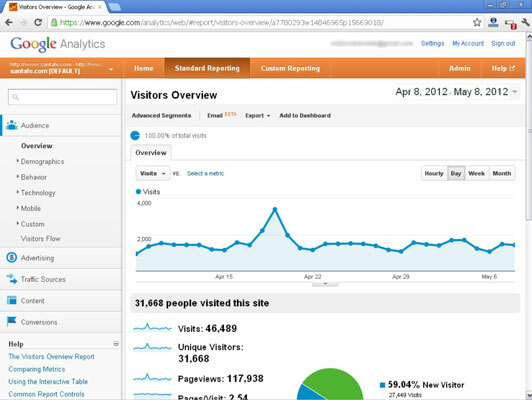 Try the Google Analytics dashboard or the Hub Spot dashboard for multiple media. Dashboards display essential results quickly, preferably over easy-to-change time frames of your choice. Let your marketing, IT, and content management folks work together to finalize the highest priority pages (usually landing pages and pages within your conversion funnels). When possible, set up tracking codes for links coming from social marketing pages. IT should test to ensure that the data collection system works and adjust it as needed. Your marketing person can be responsible for regularly monitoring the results, adjusting marketing campaigns, and reporting to you and other stakeholders. Have your IT person validate the data and audit tracking tags at least twice a year — they can easily get out of sync. Always integrate the results of your social media and online marketing efforts with offline marketing and financial results for a complete picture of what’s happening with your business. Compare against your business goals and objectives and modify as needed. Aggregate all analytics into one place. 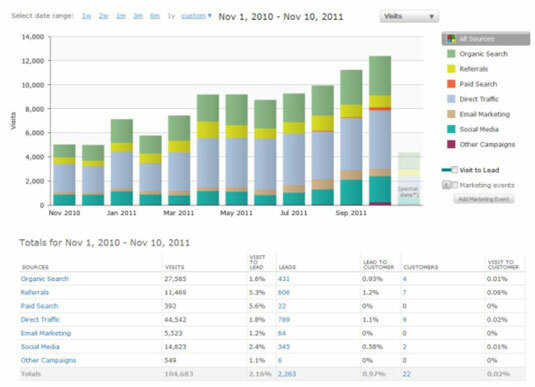 You’re unlikely to find a premade dashboard that includes everything you need to measure for your specific campaigns. Your programmer may have to export data into Excel, PDF, or e-mail format; save it all in one place; and then build a custom spreadsheet to generate combined reports for your review.